Viewer2 is a free image viewer and a searchable image database. It will let you organize your photos based on their physical location on the screen, just as when you pile photos on a table. Viewer2 supports tags (fully searchable). Its database allows you to track and search your images with queries similar with those you use to search the web. You can search for files by their file name, location, size, etc. You are not restricted to a normal list-style view of the images, but you can see the full folder or all the search results at once. You can treat the images as you would handle photos in the real world: move images of similar subjects into one pile for quick tagging and move interesting images in their own pile for later examination. Viewer2 helps you by automatically creating groups of images it thinks are related somehow. Images can be grouped by their features, including name, location and color. The program starts always in full screen view, which can be annoying, but of course its concept needs a lot of space. 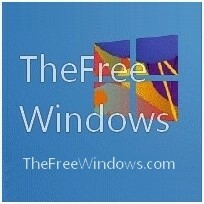 Windows 7 Alt Tab: How would you like to disable it?